Capt. 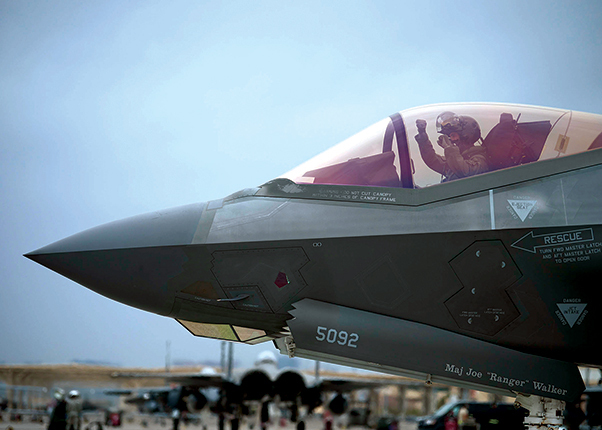 Kyle Benham, 62nd Fighter Squadron F-35A Lightning II fighter jet pilot, stands in front of an F-35A at Nellis Air Force Base, Nev., March 18, 2019. Benham participated in his first Red Flag at Nellis to improve combat readiness as a pilot with a multitude of different partners. 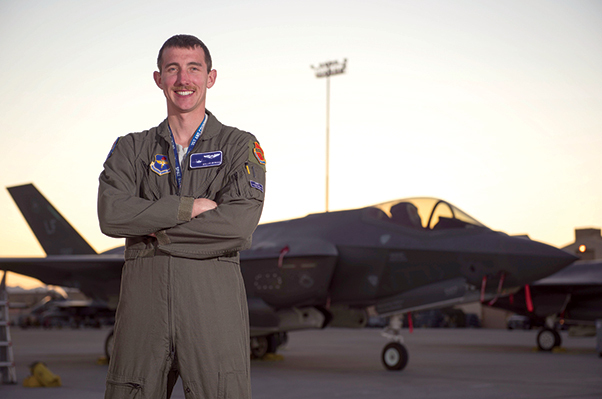 Benham took part in Red Flag 19-2 to increase his experience with coalition forces from across the globe and improve on his skills in an F-35A in a mass exercise that pushes even the best fighter pilots to their limits, especially for those at Red Flag for the first time. Capt. 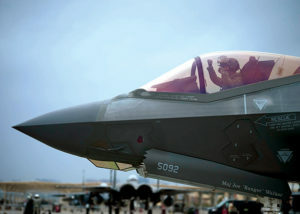 Kyle Benham, 62nd Fighter Squadron F-35A Lightning II fighter jet pilot, taxis down the ramp for take-off during Red Flag 19-2 at Nellis Air Force Base, Nev., March 20, 2019. Benham previously had 72 hours in the F-35A before Red Flag but accumulated much more experience after flying five times during the exercise.